For more than half a century Thomas Szasz has devoted much of his career to a radical critique of psychiatry. 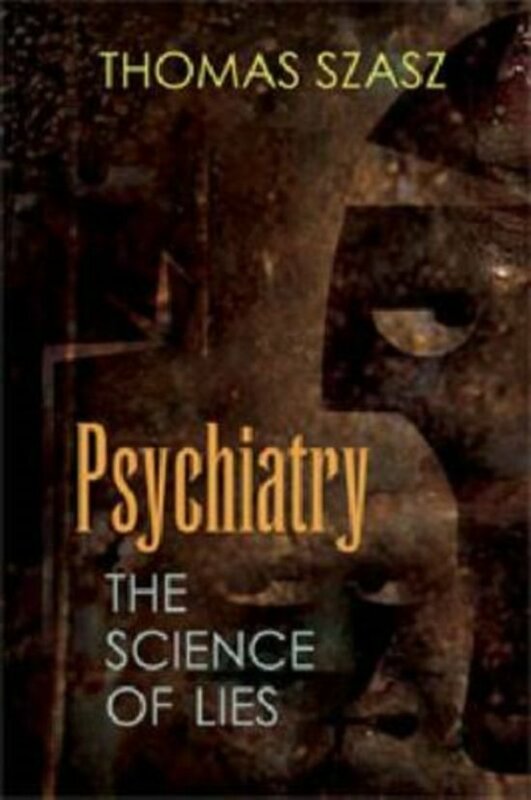 His latest work, Psychiatry: The Science of Lies , is a culmination of his life's work: to portray the integral role of deception in the history and practice of psychiatry.Szasz argues that the diagnosis and treatment of mental illness stands in the same relationship to the diagnosis and treatment of bodily illness that the forgery of a painting does to the original masterpiece. Art historians and the legal system seek to distinguish forgeries from originals. Those concerned with medicine, on the other hand - physicians, patients, politicians, health insurance providers, and legal professionals - take the opposite stance when faced with the challenge of distinguishing everyday problems in living from bodily diseases, systematically authenticating nondiseases as diseases. The boundary between disease and nondisease - genuine and imitation, truth and falsehood - thus becomes arbitrary and uncertain.There is neither glory nor profit in correctly demarcating what counts as medical illness and medical healing from what does not. Individuals and families wishing to protect themselves from medically and politically authenticated charlatanry are left to their own intellectual and moral resources to make critical decisions about human dilemmas miscategorized as 'mental diseases' and about medicalized responses misidentified as 'psychiatric treatments.' Delivering his sophisticated analysis in lucid prose and with a sharp wit, Szasz continues to engage and challenge readers of all backgrounds.